The apartment was very clean and surprisingly very big and comfy. Perfect for a two couple getaway. Great apartments with excellent facilities. All the staff were friendly and accommodating. The venue was very close to the centre of town - I commute via taxi from Quest. The speed dial worked like a charm and a taxi was only 2 minutes away! Though I was alone, the room I received felt like home. I didn't use much of facilities (e.g TV, washing machine, dish washer) only the necessities as I was away throughout the day. Staff were very friendly and helpful. Great location, could walk to most activities. The property was very convenient to stay in and even though it didn't have its own restaurant there were a number of meal options available. We would certainly stay here again when visiting Bendigo. 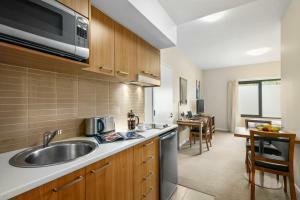 The location was good, within a reasonable walk to the CBD. The beds were clean and comfortable and the lap pool was awesome. 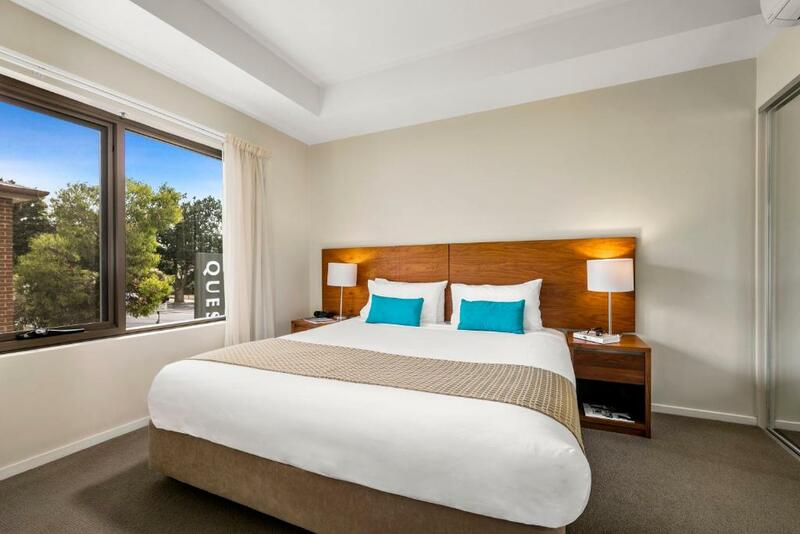 Lock in a great price for Quest Bendigo Central – rated 8.4 by recent guests! 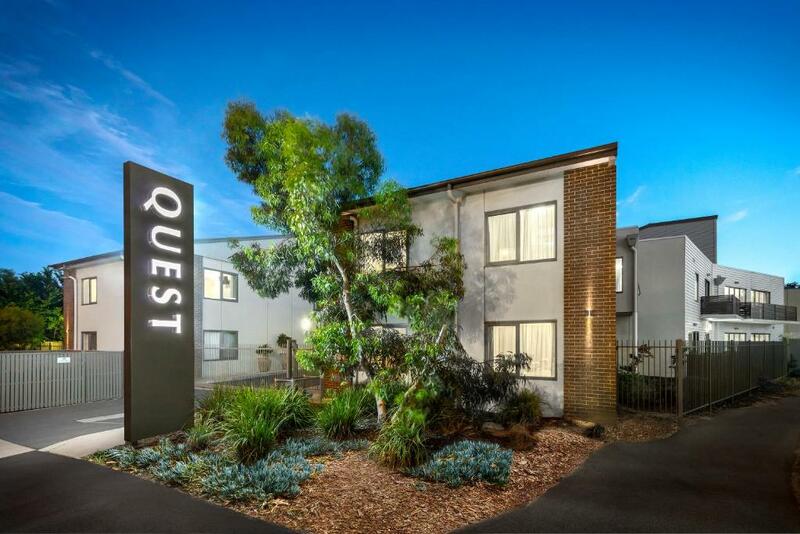 Quest Bendigo Central This rating is a reflection of how the property compares to the industry standard when it comes to price, facilities and services available. It's based on a self-evaluation by the property. Use this rating to help choose your stay! 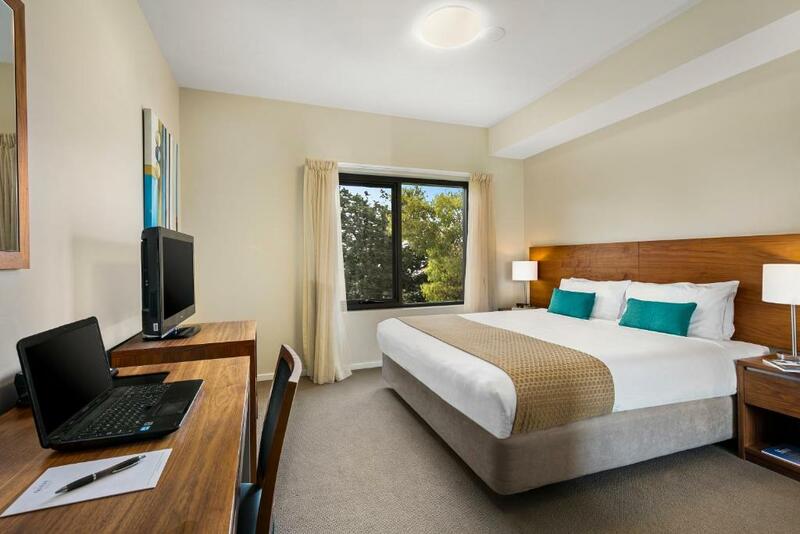 One of our top picks in Bendigo.Boasting free internet connection, Quest Bendigo Central offers serviced apartment accommodations, just a 10-minute walk from Bendigo city center. Guests enjoy a solar-heated lap swimming pool, a BBQ area and limited free secure car parking. All accommodations offers a flat-screen TV with free cable channels. These stylish and modern studios and apartments offer spacious living areas with a refrigerator, microwave and tea/coffee making facilities. All include a separate bathroom with a shower, hairdryer and free toiletries. Some accommodations features a fully equipped kitchen. Free DVD hire and free local calls to landlines are included. Bendigo Railway Station is only 5 minutes’ drive from Quest Bendigo Central Apartments. It is a 20-minute walk to Bendigo Art Gallery. Lake Weerona is just 1,650 feet away. 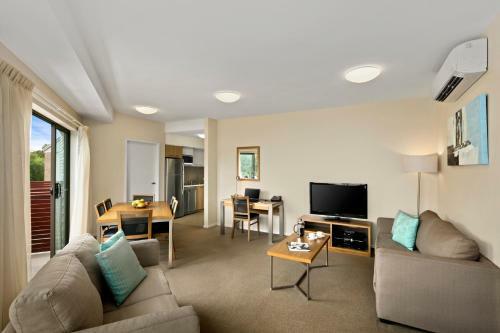 When would you like to stay at Quest Bendigo Central? Open-plan studio apartment with a kitchenette and separate private bathroom. Studios are nonsmoking as they do not have a balcony. Please note there is no capacity for extra guests. Spacious 1-bedroom apartments offering a fully self-contained kitchen, separate living/dining area, a separate bathroom with laundry facilities, as well as cable TV and broadband internet access. Spacious 2-bedroom apartments offering a fully self-contained kitchen, separate living/dining area, a separate bathroom with laundry facilities, cable TV, broadband internet access and a private balcony. Please note that bedding configuration of 4 single beds is also available. You can request your preferred bedding configuration in the Special Request Box at the time of booking. Please note that the bedding configuration is not guaranteed and will be confirmed upon arrival, subject to availability. Please note that the price is based on 4 guests. Maximum occupancy is 5 (see Hotel Policies). Larger apartments offering a fully self-contained kitchen, living/dining area with sofa bed, 2 bathrooms, laundry facilities, cable TV, broadband internet access and a private balcony. These apartments offer a fully self-contained kitchen, living/dining area, 2 bathrooms, laundry facilities, cable TV, broadband internet access and a private balcony. Please note that bedding configuration of 6 single beds is also available. You can request your preferred bedding configuration in the Special Request Box at the time of booking. Please note that the bedding configuration is not guaranteed and will be confirmed upon arrival, subject to availability. Please note that the price is based on 6 guests. Maximum occupancy is 7 (see Hotel Policies). 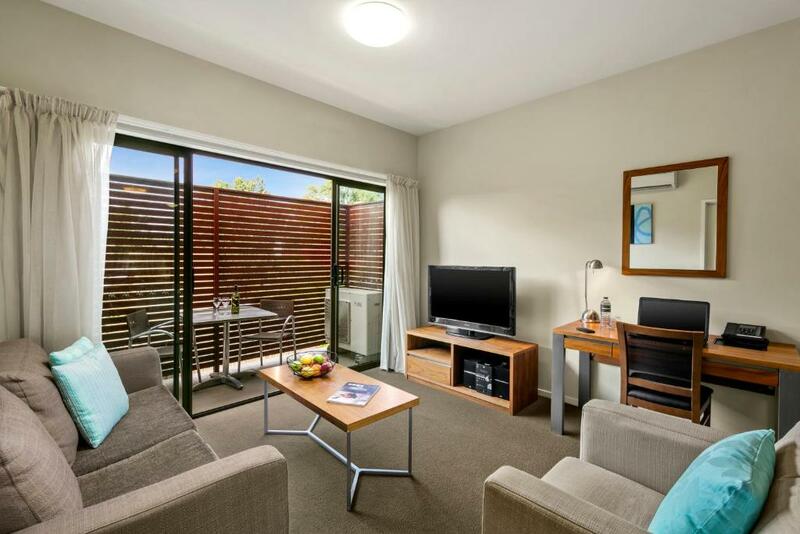 Quest Bendigo Central is located only a short 1.3km drive from Bendigo CBD offering a prime location with spacious apartments. 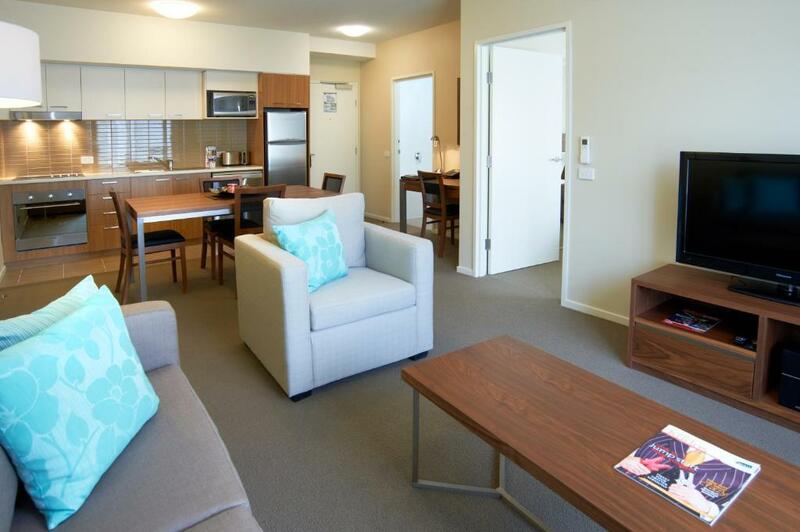 Each apartment is equip with kitchen facilities, free Wi-Fi and Free Foxtel to keep you entertained. 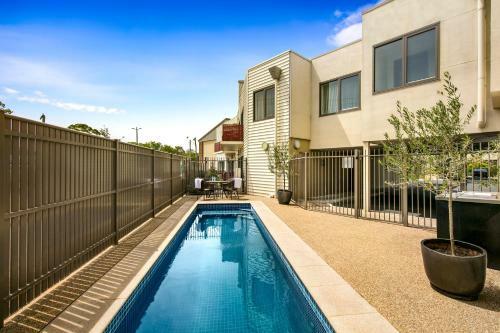 Our outdoor solar heated pool and great BBQ area is great for those hot summer months. All of our staff are highly trained and can help provide you with any information and pride them selves on helping you have the best experience possible. At Quest Bendigo Central all of our staff are highly trained and competent in handling your stay from start to finish. Our interest is your stay and our objective is to help you enjoy your stay with us. Our staff are knowledgeable about the area with plenty of helpful information on local attractions, dinning and shopping to keep you entertained during your trip. Quest Bendigo Central is located 1.3kms from the Bendigo CBD heading towards Epsom. Although located on a main road, the Neighborhood is quiet and safe while the property boasts a locked car park from 8pm until 7am daily. House Rules Quest Bendigo Central takes special requests – add in the next step! One older child or adult is charged AUD 35 per person per night when using existing beds. Quest Bendigo Central accepts these cards and reserves the right to temporarily hold an amount prior to arrival. Please note housekeeping service is not included on Sundays or Public Holidays. Please note that for the 4 night rate, there will be rubbish removal service only. Please inform Quest Bendigo Central of your expected arrival time in advance. You can use the Special Requests box when booking, or contact the property directly using the contact details in your confirmation. The parking was a pain. There is not enough spaces for guests, this results in people parking everywhere even in non designated spots (including trucks)making it nearly impossible to get in or out. I had to park my car overnight on the street. My sleep was interrupted frequently with slamming doors - so soundproofing is an issue. It went on all night. My TV also only had a few free to air channels- don’t know why they are all not tuned in. The room was clean, the bed was comfortable and the decor was tasteful. The shower pressure was fantastic. Saturday night after my wedding headed back to the apartment to find over 20 people in front of my bedroom window still partying on the street and security doing nothing about it just standing next to there car. No cars could get in and driveway was filled with people. Close by shops to facilitate self catering. The property is a bit old and some of the furnishings are tired, particularly the sofa bed but it was very clean and comfortable. our room 25a backs onto a small court yard between the building the light in that court yard was shining back into our room throughout the night even though the curtains were drawn shut. It was like bright day light through out the night. Servicing the room was a bit haphazard. Sometimes we'd get the toiletries fully replenished and other days something would be forgotten. I was hoping for a bath, but unfortunately there wasn't one. I should have checked, not the motel's fault. I should also have asked for room with a balcony, again my fault.